Looking for an original gift? 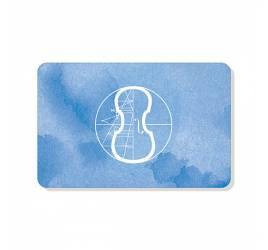 Luthier Vidal offers a wide selection of gift products for anniversaries, end of exams, auditions, birthdays, celebrations ... any excuse is good! 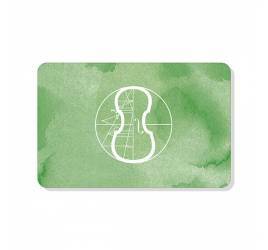 Surely you find the ideal gift for musicians, music students and teachers. A musician always needs a notebook. 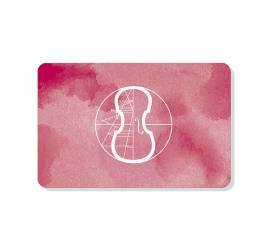 Here you will find many notebooks for musicians: square notebooks, rectangular notebooks, spiral notebooks, handmade notebooks, small and large. If you are looking for an original gift, we offer you our ceramic mugs with musical decoration by Vienna World. Also, if your favorite composer is Bach, Beethoven or Mozart, you're in luck! The cups are decorated with the staves and signatures of these masters of music. Maybe you prefer something more artisan, right? We have also thought about it! 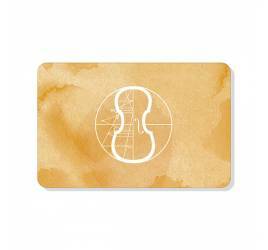 That's why we offer handmade products such as silk pajamas for bows, cellos, violas and violins; folders where you can save your staves and annotations; bags and cases, bags with laces and cloth bags. They are a safe bet for those who value handmade products and instrument illustrations. Speaking of safe bets ... and a jewel? 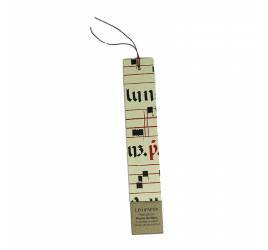 The jewelry with musical theme that we offer in Luthier Vidal are very original and elegant. Is there anything more beautiful than giving a music staff a ring with a stave? And an elegant necklace to a student who has passed his exams? After the wide range of products we offer, have you still not found the perfect gift? Do you have a clear idea of ​​a gift and you have not seen it in our product list? Do not worry, contact us at compras@luthiervidal.com and we will try to materialize what you want. Nominal del producto : RAPSODY VIOLA CASE CSL002A Rápido y eficiente. Lo tendré en cuenta en futuras compras. Muchas gracias! Nominal del producto : VIOLIN SHOULDER REST BONMUSICA Vigilar que no os bloquee el movimiento natural del hombro. What do I give a musician?